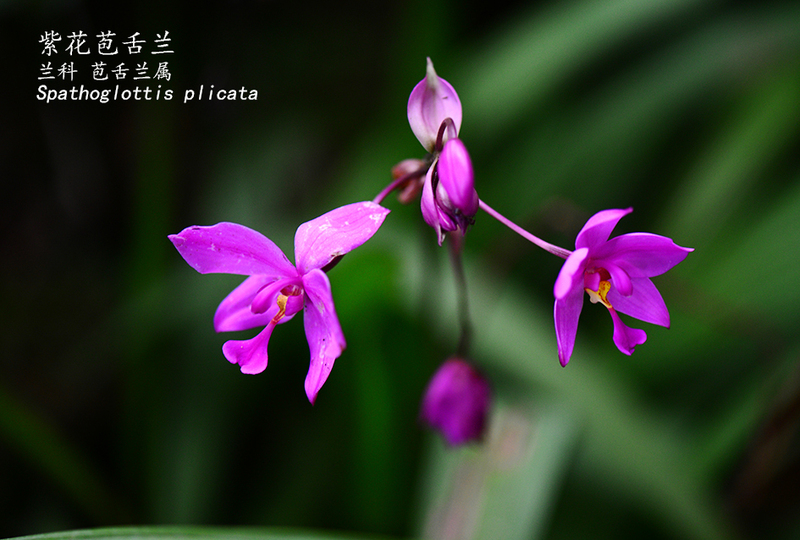 Spathoglottis plicata is a species of terrestrial orchid found from tropical and subtropical Asia to the western Pacific including Hawaiʻi, Tonga and Samoa. It is the type species of the genusSpathoglottis. It is commonly known as the Philippine ground orchid, Philippine orchid, or large purple orchid.